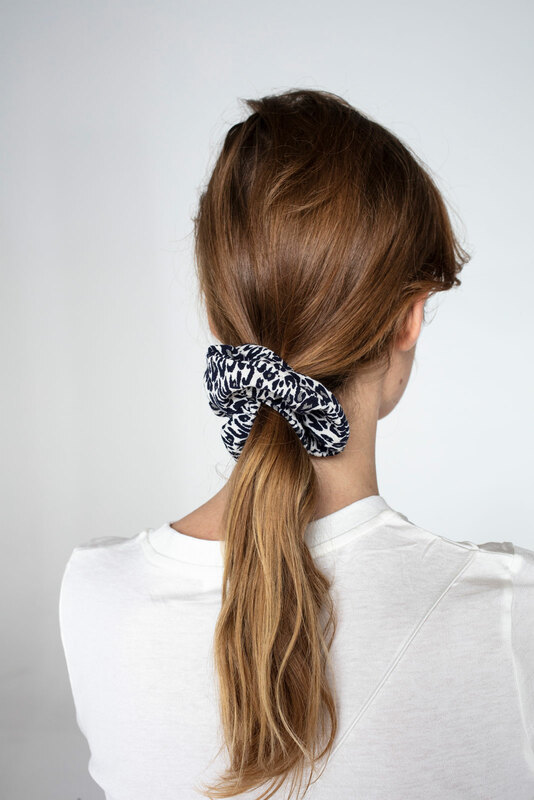 Decorative scrunchie with animal motif jacquard fabric. 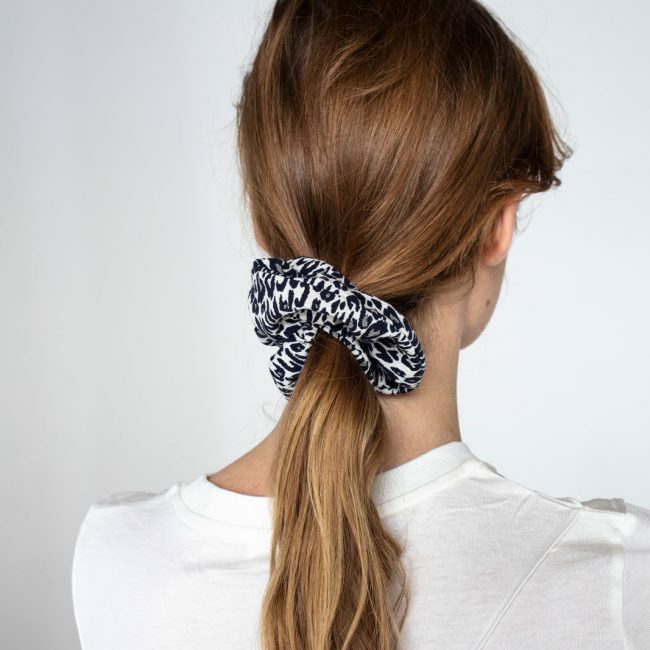 Wear it in your hair or around your wrist. We only use production leftovers to make these, so that we fully utilize all our fabric. Limited edition. 60% viscose / 40% polyester. We recommend delicate wash cycle.